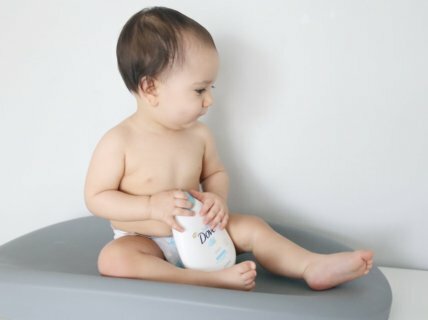 One of my biggest concerns as a mom is definitely what I’m putting on my baby’s skin, especially when they are so young and their skin is so sensitive! 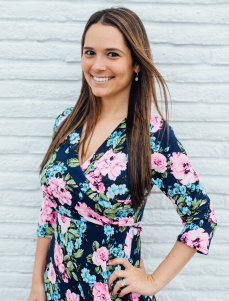 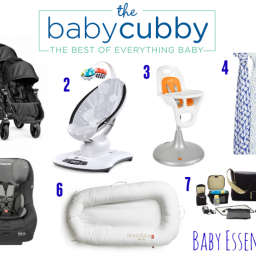 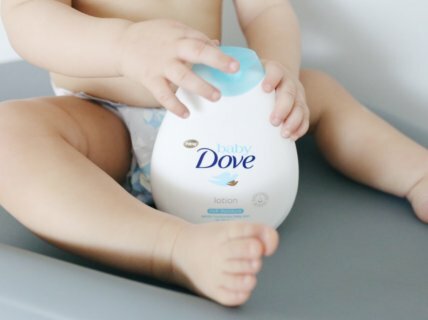 I had a chance to work with Baby Dove for this blog post and I was very excited because I’ve always been a huge fan of Dove. 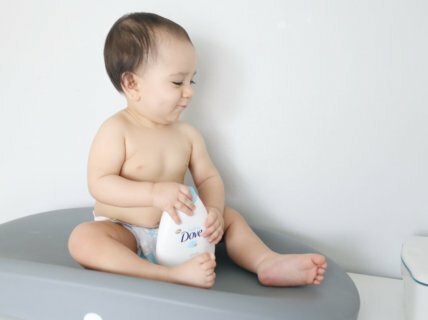 The only soap I use on myself is a Dove product, so when I learned Dove came out with their own baby line, I couldn’t wait to try it. 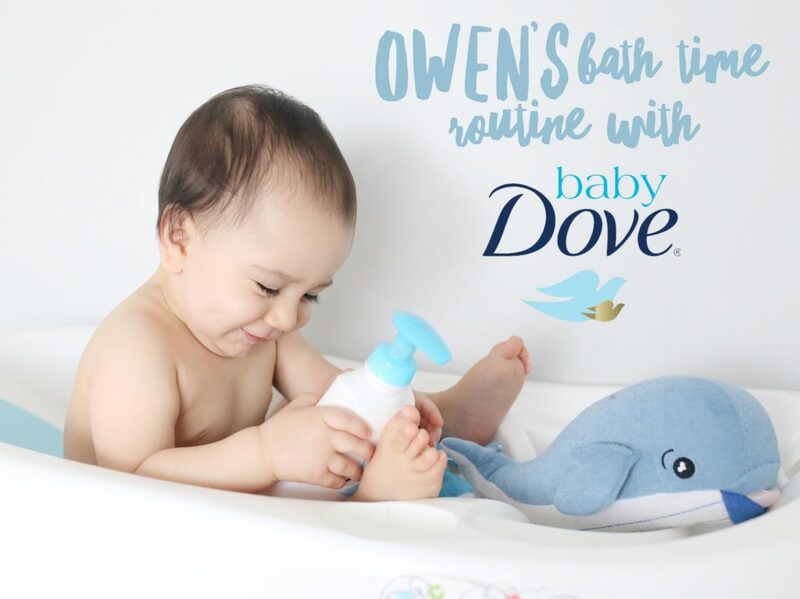 Now Owen has a Bath Time Routine using Baby Dove products. 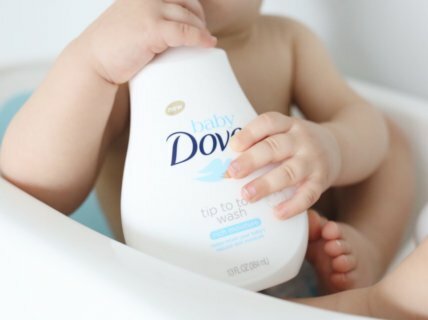 We start off with Baby Dove’s Rich Moisture Tip to Toe Wash. 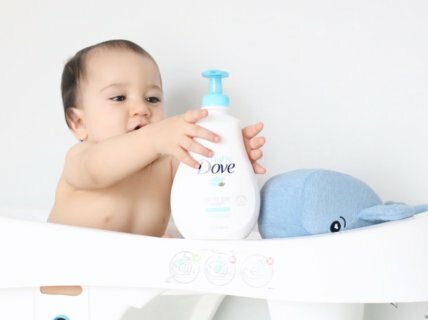 The Tip to Toe Wash is a tear-free and hypoallergenic baby wash and shampoo. 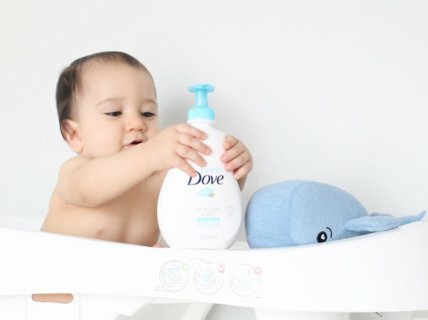 It smells soooo good and replenishes essential nutrients and moisture to your baby’s delicate skin, as all the Baby Dove products do. 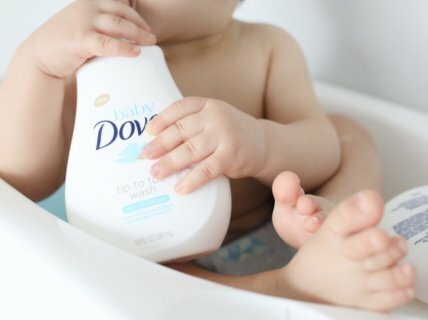 Baby Dove’s Rich Moisture Tip to Toe Wash is gentle as water and is made without dyes, parabens or phthalates. 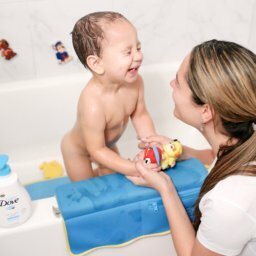 It uses mild cleansers to clean baby’s skin gently and has been tested by ophthalmologists, dermatologists and pediatricians. 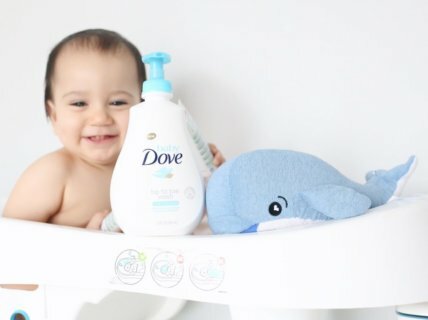 After we are done with bath time, I use Baby Dove’s Rich Moisture Baby Lotion on Owen’s skin. 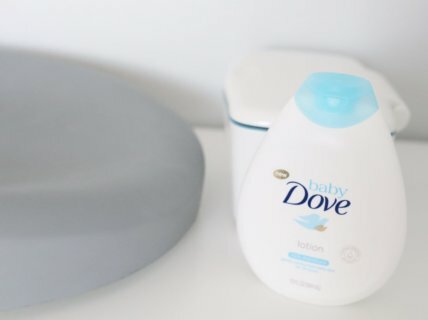 This lotion gently moisturizes baby skin for 24 hours and soothes dry skin right away! 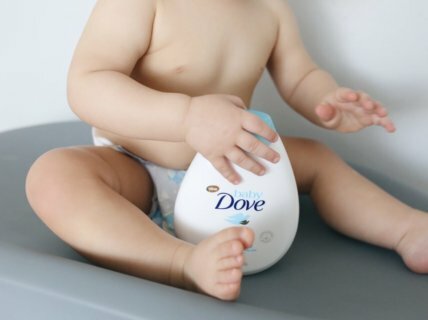 It helps soothe dry skin from the first use and is hypoallergenic. 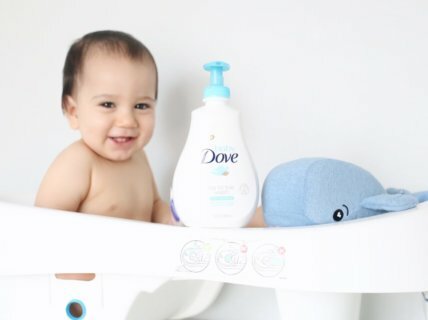 By using Baby Dove’s Rich Moisture Lotion right after bath time, Owen’s skin stays extremely soft all day, and again, the smell! 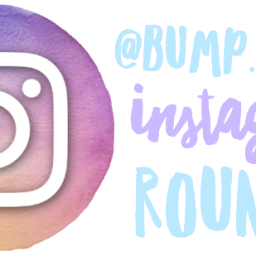 Oh my gosh it’s amazing! 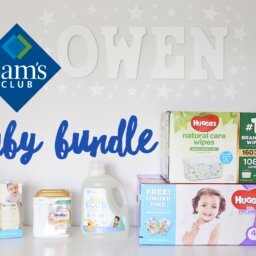 Since we are in Sunny South Florida we don’t really have to worry about the cold, dry season too much, but this year when the temperature dropped I was so glad to be able to protect Owen’s (and Emma’s too!) 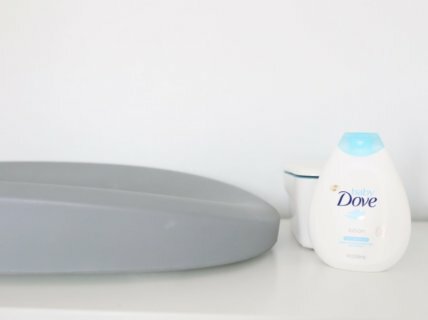 skin through it all. 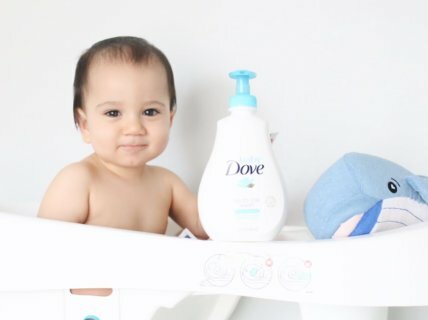 Baby Dove‘s line of products includes Rich Moisture and Sensitive Moisture ranges that provide your baby with skin care that goes beyond mildness and restores essential moisture. 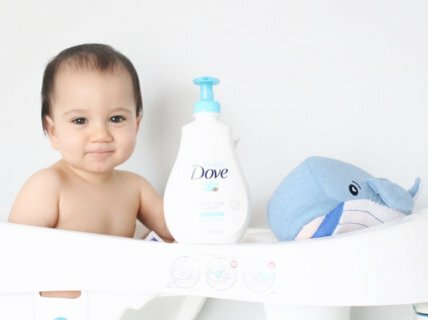 Whether it’s tear-free tip to toe wash during baby bath time, or a soothing lotion afterwards, Baby Dove gives you confidence that you’re providing the best care for your baby’s skin! 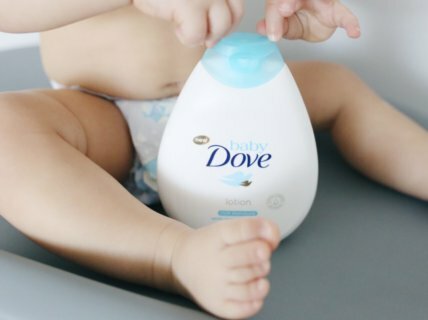 We love our Baby Dove! 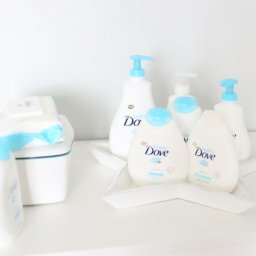 Find out more about Baby Dove products by visiting Dove.com.